Yang-style Tai Chi is the most popular form in the world, with millions of practitioners. Since the Yang family popularized Tai Chi during the 1800s, the form has been passed down from teacher to student in an oral tradition, resulting in a wide variety in the way the form is practiced. Yang-style Tai Chi is the most popular form in the world, with millions of practitioners. Since the Yang family popularized Tai Chi during the 1800s, the form has been passed down from teacher to student in an oral tradition, resulting in a wide variety in the way the form is practiced. No matter which version of the form you practice, the essential principles and structure within the movements are basically the same. The form practiced by Dr. Yang, Jwing-Ming and YMAA students can be traced back to the Yang family through Grandmaster Kao, Tao (高濤) and his teacher Yue, Huanzhi (樂奐之), an indoor disciple of Yang, Chengfu (楊澄甫). Watch this video clip from Yang Tai Chi for Beginners by Dr. Yang, Jwing-Ming. The Yang Tai Chi form can be easy to memorize, but it can always be refined and practiced with a deeper feeling. It is comprised of 37-postures, or movement patterns, which are repeated to the left or right to create the 108-movement sequence. It is recommended that a student focus on learning just a few movements at a time until they are very natural and comfortable. The form is typically taught in three sections. The next step is to learn and practice only the first part of the sequence until the student can perform it smoothly with correct posture and relaxed muscles. The more relaxed your body and mind are, the more abundantly your energy can circulate. This is the first stage, known as Regulating the Body. Eventually, if a student is interested in following the traditional path, he/she will progress through the stages of Regulating the Breath, the Mind, the Qi, and the Spirit. 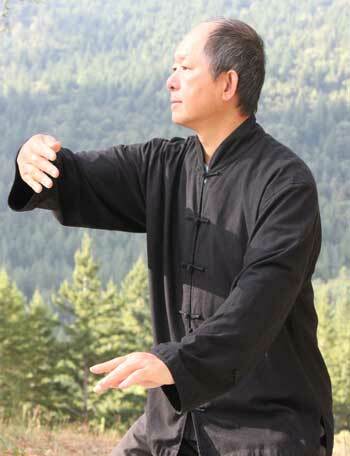 Dr. Yang says, "The taijiquan solo sequence is constructed with about thirty-seven apparent techniques and more than two hundred hidden techniques. 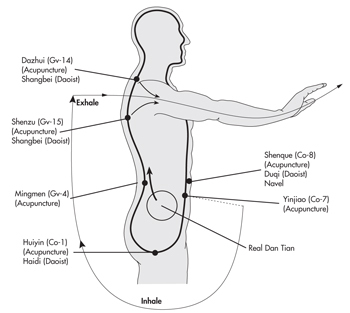 It is practiced to enhance qi (energy) circulation and improve health, and it is the foundation of all taijiquan martial techniques. It usually takes from six months to three years to learn this sequence, depending on the instructor, the length of the sequence, the student's talent, and most importantly, his or her commitment to practice. After a student has learned this sequence, it will usually take another three years to attain a degree of calmness and relaxation and to internalize the proper coordination of the breathing. When practicing, not only the whole of your attention, but also your feelings, emotions, and mood should be on the sequence. It is just like when musicians or dancers perform their art; their emotions and total-being must be melded into the art. If they hold anything back, then even if their skill is very great, their art will be dead." Tai Chi Chuan, which is sometimes transliterated from Chinese as "Taijiquan", means "Grand Ultimate Fist". It was originally developed as an internal martial art, which emphasizes softness and roundness over using brute force. Whether you just want to learn Tai Chi for your health, or you intend to follow the traditional progression of the learning the sequence, pushing hands, sparring, and eventually weapons, it is important that you develop a sense of enemy in your practice. Watch a Tai Chi master perform a sequence, and you may see that it looks like he/she is having a slow motion battle against invisible opponents. By learning the originally-intended purpose of a Tai Chi movement, which is known as its martial application, you will learn the finer points of exactly where your hands and feet should be. You develop a sense of enemy by visualizing that your Tai Chi movement is being used against an opponent. Dr Yang, "Even when you can do the form very well, it may still be dead. To make it come alive you must develop a sense of enemy. When practicing the solo sequence, you must imagine there is an enemy in front of you, and you must clearly feel his movements and his interaction with you. Your ability to visualize realistically will be greatly aided if you practice the techniques with a partner. There are times when you will not use visualizations, but every time you do the sequence your movement must be flavored with this knowledge of how you interact with an opponent. The more you practice with this imaginary enemy before you, the more realistic and useful your practice will be. If you practice with a very vivid sense of enemy, you will learn to apply your qi and jin (power) naturally, and your whole spirit will melt into the sequence. This is not unlike performing music. If one musician just plays the music and the other plays it with his whole heart and mind, the two performances are as different as night and day. In one case the music is dead, while in the other it is alive and touches us." Not only does a sense of enemy develop correct posture and give life to your performance, but it is also important for your health. When practiced slowly, Tai Chi is a form of Qigong (energy work). The Chinese word for energy is "Qi". Its important to realize that when we discuss Qi within the body, we are not referring to some mystical jedi force, or to a metaphor of some kind. Qi is real. Without going into technical Western medical terminology, you must realize that life energy circulates throughout the 100 trillion cells that your body is comprised of. This energy in our bodies is derived from the food we eat and the fat we burn, combined with the air we breathe through the metabolic process. In addition, with every breath you are inhaling air, which is a gas, which is made of molecules, which are made of atoms, which are made of energy. You inhale positive or negative ions all day long. We also receive some percentage of our body's energy from the sun and moon, and our body's energy is influenced by the radiation of our surroundings, both natural and manmade. In fact, the human body is a living bioelectromagnetic field. When you want to move your body, your mind generates an electrical impulse through the spine to the muscles, and suddenly you are Grasping the Sparrow's Tail. Your intention to move first creates a brainwave - this is an electrical frequency usually between 1 - 20Hz. The impulse then transmits instantaneously throughout the body in a complex process that utilizes your body's energy to facilitate movement. A typical modern way of measuring your energy is with an EEG (Electroencephalogram), which distinguishes brainwaves by measuring the speed with which neurons (nerve cells) fire in cycles per second. Alpha brain waves range between 7 – 12 Hz, which relates to deep relaxation. The Alpha range is also the base frequency of the Schumann Resonance, which is the vibrational frequency of the earth's electromagnetic field. When you are deeply relaxed, your Alpha brainwaves resonate in sympathy with the earth's EMF, producing "constructive interference" which amplifies the vibration. Whether you view the body's energetic activity from a chemical, spiritual, or purely mechanical viewpoint, understand that this energy within the body is the Qi we are referring to; Qi is not some special "other" kind of energy. This subject has been widely misunderstood, sometimes because of the limited understanding by students of these concepts since Tai Chi came to the West, and largely due to cultural and language barriers. You are not a human body experiencing a spirit. You are a spirit experiencing a human body. Thus, when you understand a Tai Chi posture clearly, your will mind generate the correct intention, and you will energize your body all the way to the fingers and toes more efficiently. This will gradually improve your circulation to the extremities, and help to permeate your body with healthy circulation of blood, energy, and nutrients. Beginning to learn Tai Chi can be daunting, as you realize the traditional form can seem very long, and there are many details to be aware of. But like any classical art, such as violin or oil painting, you simply start at the start and allow yourself to learn at your own pace. Once you've learned the movements and can maintain a sense of enemy, you can enjoy Tai Chi as a kind of moving meditation which will lead you deeper into investigating the energetic aspect of being - which actually is a mystical experience if you really think about it. Practice out in nature and get some fresh air, preferably near mountains, forests, or water for an increase of negative ions. Close your mouth loosely, and touch the tongue to the roof of the mouth gently. Breathe naturally. Don't worry about your breathing until later in your practice. Tai Chi is whole body exercise. Movement is initiated in the legs, directed by the waist, and manifested in the hands. Upper body is light, the middle body is flexible, and the lower body is solid and heavy. Energy follows consciousness, or as its put in qigong study, "The Yi Leads the Qi." Stay relaxed and don't frown from concentrating too hard. Tai Chi is fun! Happy World Tai Chi Day, April 28, 2012. Learn more about the YMAA Tai Chi lineage. Learn more about the history of Yang Style Tai Chi.